X2: X-Men United – Beth and I saw the first X-Men movie in the theater back when we first started dating; I think it might have been the first time we went to the movies together. 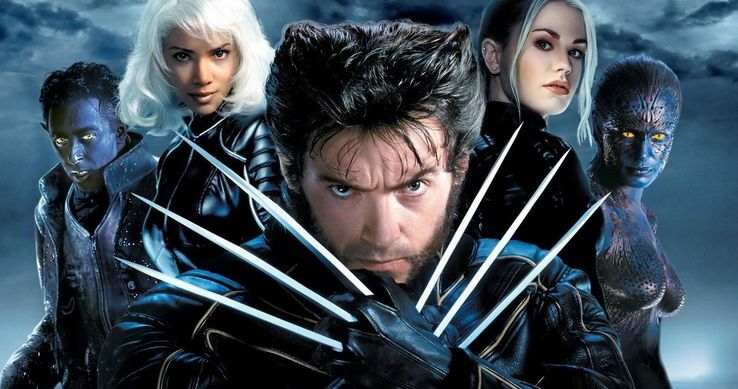 We both knew the X-Men primarily from the 1990s cartoon show, which took some liberties with the comics, but generally seems to have hewed closer than the movie. Their Rogue seemed more like Jubilee with Rogue’s powers. I’d heard some of the later ones were pretty good, though, so I decided I might as well start catching up. This one has a lot of characters, but most of them don’t do much, instead just showing up to solve a particular problem that requires their powers and then fading back into the background. Nightcrawler’s introduction seems important, but you don’t learn a whole lot about him other than that he’s German, blue, furry, and can teleport. I think it somewhat lessens the impact of Jean Grey sacrificing herself to not have her appear a whole lot before that (not counting Mystique taking her form). It’s mostly focused on Wolverine, and while I have nothing against him, is he the only character the filmmakers found interesting? Professor Xavier also played a significant role, and Magneto switched between helping and going against the X-Men. While I’ve often seen the X-Men cited as a reference to the civil rights movement, even though I think they were all white for the first several years of the comic. I think the plot point of villain William Stryker wanting to find a cure for his mutant son was more of a parallel to the idea of gay conversion therapy. I guess I liked it pretty well, but think it could have used more of a balance in terms of its characters. It kind of feels like they expect viewers to already know basically who these characters are, and while I did at least for the major ones, not everyone coming into the movie would have. 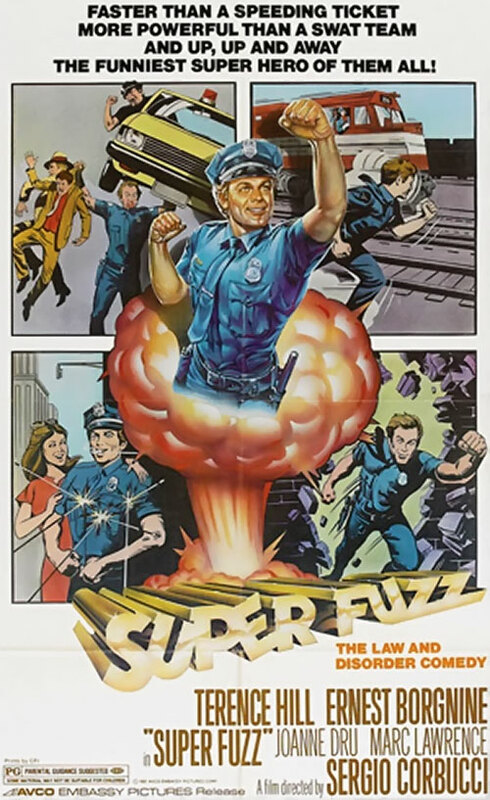 Super Fuzz – A corny movie from 1980 that I hadn’t heard of before. I think it works pretty well in that it revels in its own corniness and stupidity. It’s about a cop named Dave Speed who gets super powers when being hit with something called red plutonium from a rocket launch while trying to give a traffic ticket to a guy in a marsh village. That kind of nonsensical mixture of elements continues throughout. His powers are pretty vaguely defined, including super strength, healing, and invulnerability; but also whatever comes in handy at a particularly time, including at one point making a giant floating balloon out of bubblegum. His powers are negated when he sees anything red, presumably a reference to when Green Lantern’s weakness was the color yellow. His partner, played by Ernest Borgnine, is a no-nonsense type who’s frustrated by the hero’s antics, and is also obsessed with a movie star who turns out to be in league with gangsters. Speed pretends to be a crooked cop in order to get a confession from the criminals, but ends up being arrested and almost executed. I thought it was weird that Terence Hill, who played Speed, kept showing hints of a foreign accent. I looked it up, and he’s Italian (his birth name was Mario Girotti), as were the director and filmmakers, even though the movie was intended for an American audience. 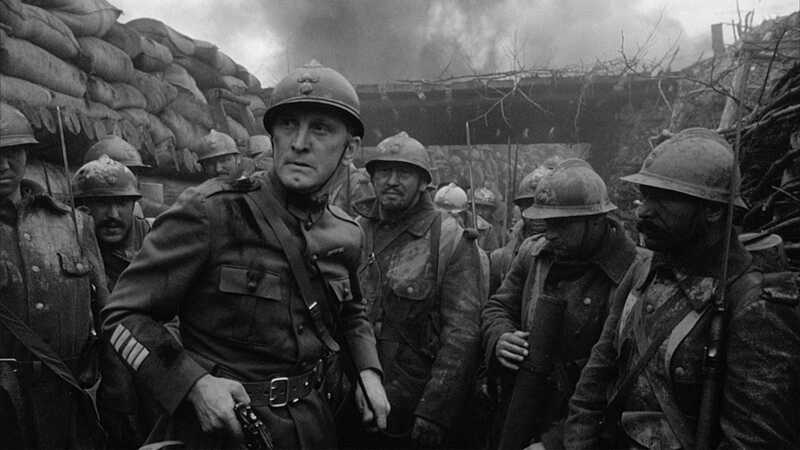 Paths of Glory – I really couldn’t get into this 1957 Stanley Kubrick film, even though I thought it raised some good points. Based on a novel that in turn is loosely based on an incident where a few French soldiers were executed for cowardice during World War I, it shows how war and the chain of command can lead to atrocities, and the futility of standing up to unethical orders from superior officers. The Good Dinosaur – It’s weird, but this was one Pixar film that seemed to come and go with nobody really talking about it. Granted, I might not having been looking in the right places, but most of the time I at least see SOME comment on them. It’s kind of a weird film, but also pretty generic in many ways. I wasn’t sure what the title meant, as it implied the other dinosaurs were bad, but it’s apparently more that he wants to make good, to make his mark in society. Taking place in an alternate world where the meteor that caused the extinction of the dinosaurs missed the planet (pretty similar to the back story of the Super Mario Bros. Movie, actually), so they kept on living and became civilized over the ages. The main character is a young apatosaurus named Arlo, kind of a weird name. Maybe it’s because of its connection to Woody, as in the Guthries, but also Pixar’s first protagonist. Or it could have something to do with the frontier feel of the movie, including a lot of fiddle and banjo music. 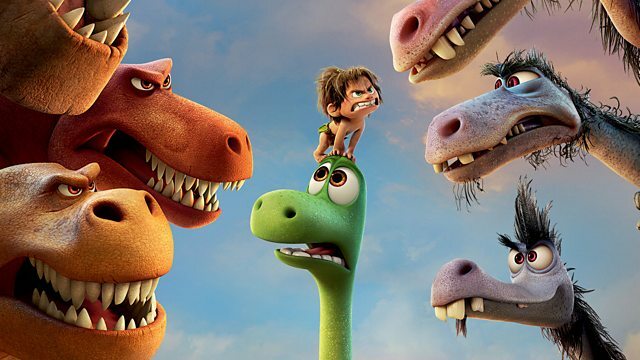 After Arlo’s father dies in a storm, the young sauropod gets separated from his family and has to make his way back, overcoming his fears along the way. It’s something we’ve seen many times. What we haven’t seen (or I haven’t, anyway) is tyrannosaurs herding buffalo. And while carnivorous dinosaurs are usually villains in such films, the family here is quite friendly to Arlo, saving him from a band of pterodactyls who initially seem friendly but quickly turn violent. The tyrannosaurus patriarch, voiced by Sam Elliott, delivers the central message that everyone has fears, and the important thing is to face them. Also perhaps a reverse of expectations is that Spot, the human (well, genus Homo, anyway) character who accompanies Arlo, is non-verbal and dog-like. There’s also a group of velociraptors who are rustlers, one of them providing the obligatory John Ratzenberger appearance. The character animation is a bit unusual for Pixar, as the dinosaurs are somewhat goofier in design than I might have expected, although they’re still detailed and expressive. It’s not a bad movie, just not particularly memorable. I saw Aquaman at the theater this evening, but I’m going to save my thoughts on that one for another post. This entry was posted in Animals, Cartoons, Comics, History, Humor, Music, Revisiting Disney, Television, VoVat Goes to the Movies and tagged apatosaurus, dinosaurs, ernest borgnine, jean grey, john ratzenberger, magneto, marvel comics, mystique, nightcrawler, paths of glory, pixar, professor charles xavier, rogue, sam elliott, stanley kubrick, super fuzz, superheroes, terence hill, the good dinosaur, tyrannosaurus, velociraptors, war, william stryker, wolverine, world war i, x-men, x2: x-men united. Bookmark the permalink.